This project is on hold due to Thaumcraft's suspension! 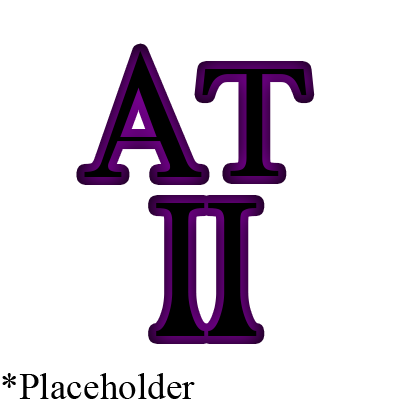 Advanced Thaumaturgy 2 started as a port from Advanced Thaumaturgy by LycaonX, but quickly became more than just that. This mod seeks to extend the Thaumcraft playtime, but not in a tedious manner. It will add items that unlock features every Thaumaturge dreamed of, such as the ability to modify a node (at a price obviously!) But there is a lot planned for this mod that we will be revealing at a later date. Any and all requests are considered, but we urge you to post those in the Discord. If you have questions you can ask them there as well! The scope and goals for this mod were very bold, but I had almost no time to do anything for it, and most of the dev team just fell out of interest. Is this stable for survival? It's semi-stable, some aspects are not guaranteed because not only is this a port, but it's also incomplete in-general and some features are being fixed and reworked, so it is good in some areas, but not others. It's shaky... The port wasn't 100% finished, nor an entirely capable and transferred port, some things had yet to be ported. So it's at fault for this, because it makes it less stable and reliable of a mod. It's playable, but don't go in expecting all features to work, or it to be 100% stable, but you can definitely rely on the main things without fear, and they should be bug-free. Ok then. I'll be downloading this. I do hope you enjoy your time with it, but take it as more of an experiment than a bonafide mod, and do exercise discretion. I encountered a weird rendering issue with Aura Nodes when I was testing things in Creative with this mod. They appeared in weird pointed star-like shapes in the icons and switching to one in my hotbar crashed my Minecraft... I don't know if it's just this but it didn't stop until I removed this addon altogether and nothing else. I'll try testing it with just Thaumcraft but I thought it was kind of strange. Well in start, you could join the Discord server. More-so because that's a pretty broad question you're posing there. Oh, um... I think that most of you knows, but if you right click an aura node with a primordial pearl, there will be a violent explosion, and... Well, the node will then contain a random new primal essentia. This is 100% vanilla TC. Would be nice to have a safer and more certain way to do so though! It's going to be nerfed to all hell and made harder to do so in the 1.10/1.11 version but it will still stand. Will this update to 1.11? It is dependent on Thaumcraft, which at the moment is still updating to 1.10.2. We do plan to stay on 1.10.2 for a decent amount of time even if TC updates to 1.11 quickly. I am not ashamed to admit that I squeed so hard when I saw this update! Thank you for all your hard work. I'm sure Lycaon would be proud of the support his mod garnered.